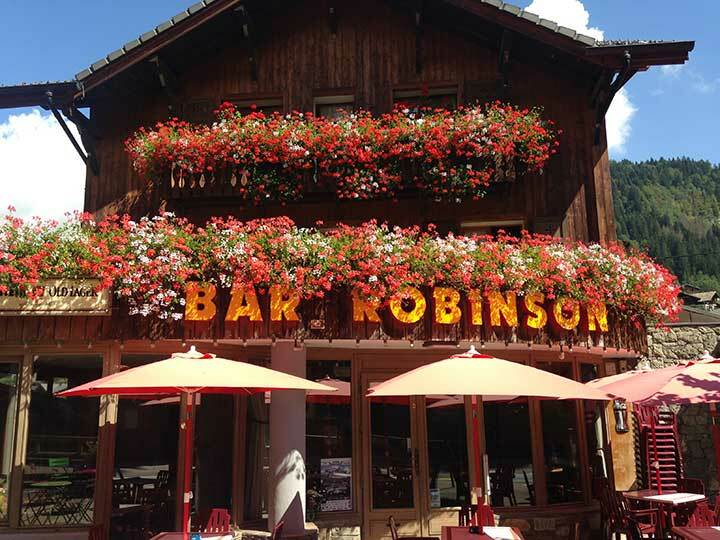 Established in 1926, Bar Robinson is one of the oldest bars in the whole of Morzine. 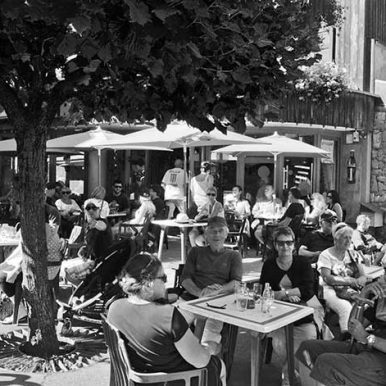 It is located at the bottom of Rue du Bourg, the commercial centre of town. 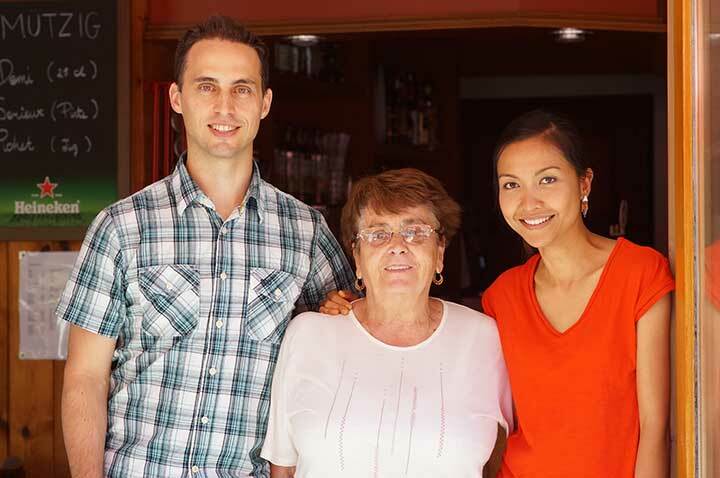 It has been run by the same family for the entire time it has been open, for three generations. 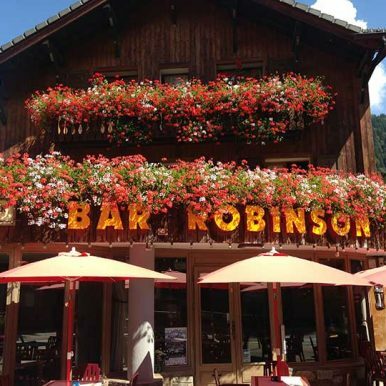 Bar Robinson, also known locally as Robbos, is amongst the most popular bars in town. 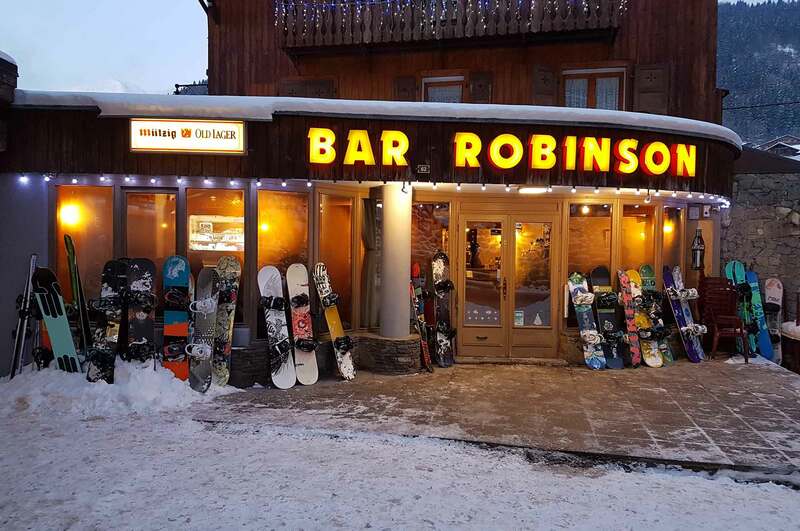 Due to its early closing time it has gained a reputation as an après bar. 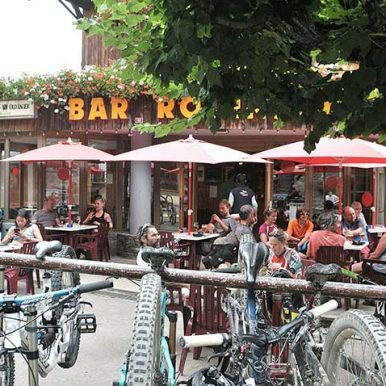 In winter it is full of skiers and snowboarders and in summer mountain bikers fill up the tables outside enjoying the early evening sun with their drinks. It is popular with both locals and tourists alike. Mützig is the drink most people associate with the bar. A strong (approximately 7%) lager brewed in the town of Mützig in the Alsace region in the North East of France. It is usually drunk in demis – or half pints – due to its strength. It is advisable to approach it with caution! 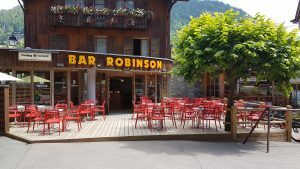 Bar Robinson was one of the first bars in France to serve Mützig, starting back in 1984 and has remained synonymous with it ever since. 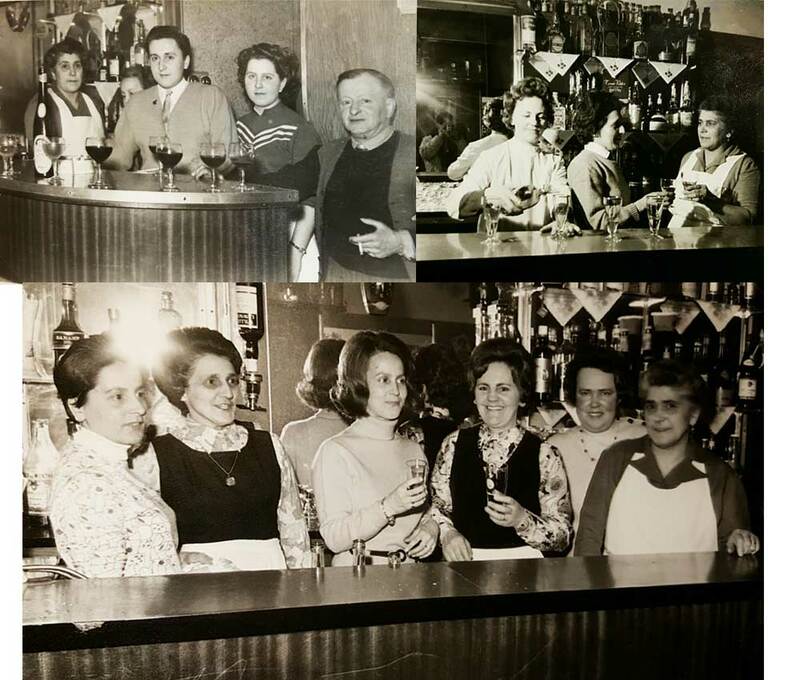 The bar has remained largely unchanged over the years which adds to the atmosphere. 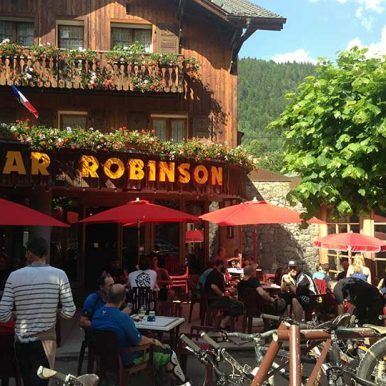 People have been coming to Bar Robinson for many years now. 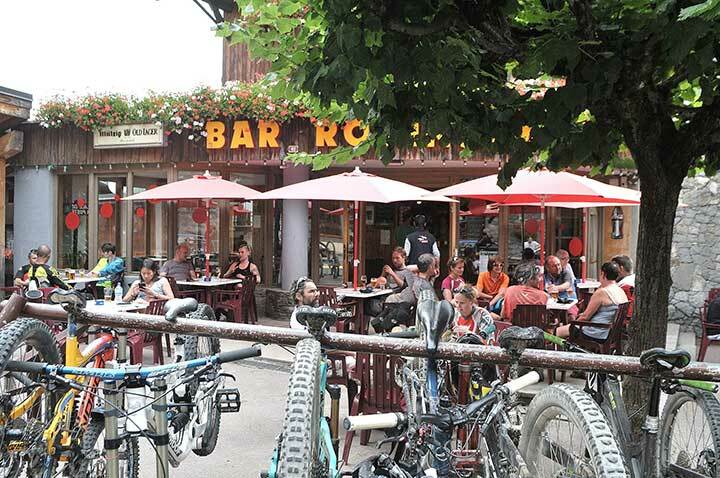 It has become a firm favourite for tourists and locals alike for Apres Ski and is the most iconic of all Morzine Bars. But not many people know its history, and many legends have sprung up over the years about it. Here is a brief history slideshow to help educate people in the true Bar Robinson Story. 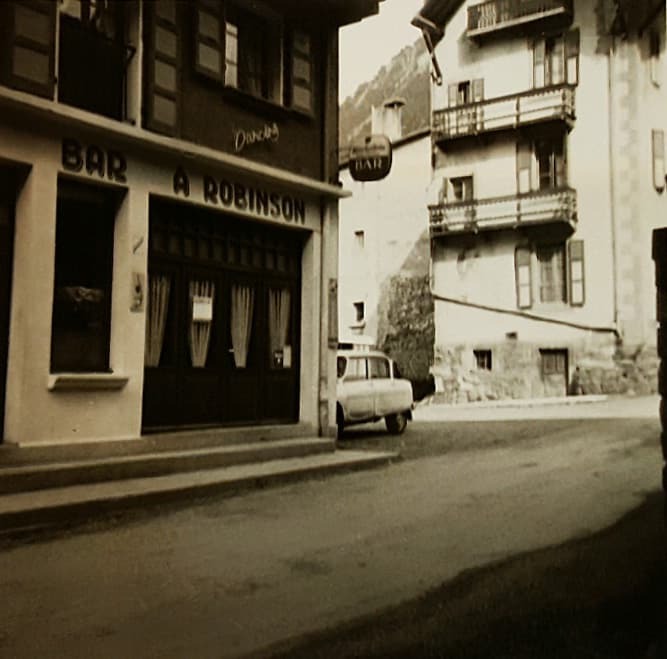 Bar Robinson first opened its doors in 1926. But not the familiar doors everyone knows so well. The original bar was below the current bar on the Route du Plan. 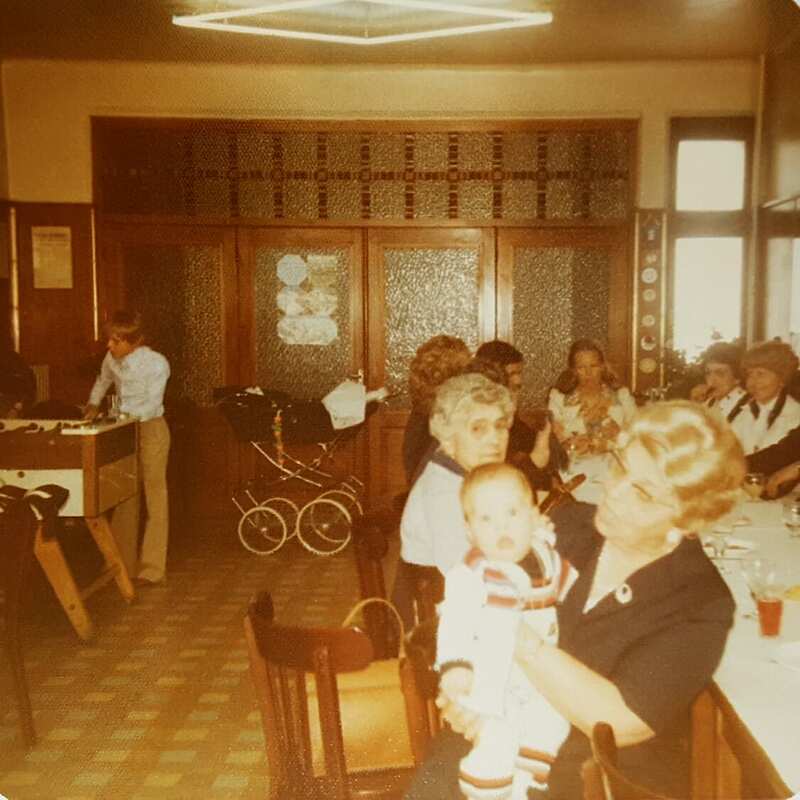 Climbing down the stairs next to the bar the full length of the Salle Du Robinson, the ballroom that opened in 1947. 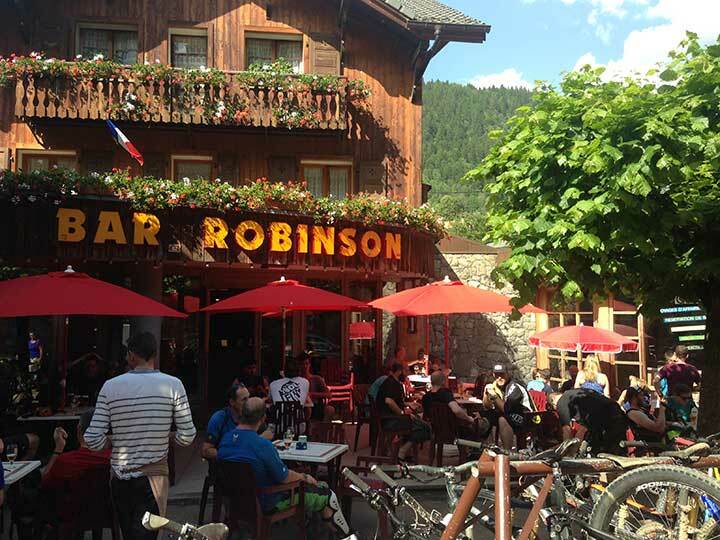 The "Salle du Robinson" was a central party of Morzine society back then. 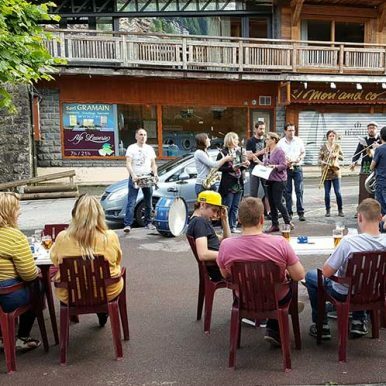 It was used for weddings, local events, dancing, town meetings, "Loto", theatre plays, a rehearsal room for the "Batterie Fanfare" and was even used as a media centre the first time the Tour De France came to Morzine. The big event of the week was the weekly dances that were held every Sunday. 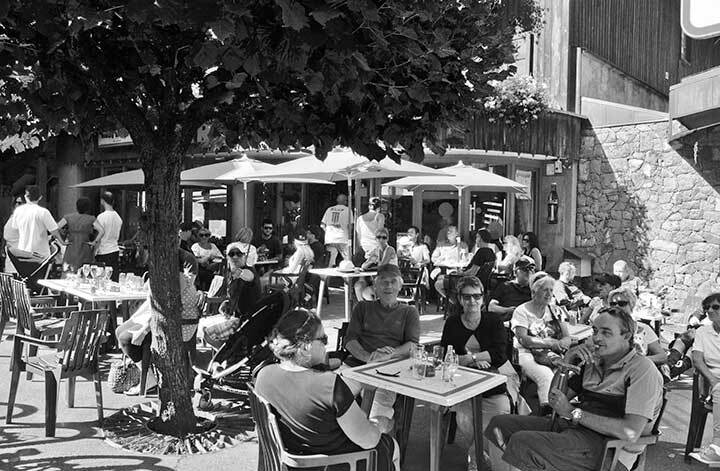 These were a huge local event with people coming to town from all over the area, even as far away as Thonon! 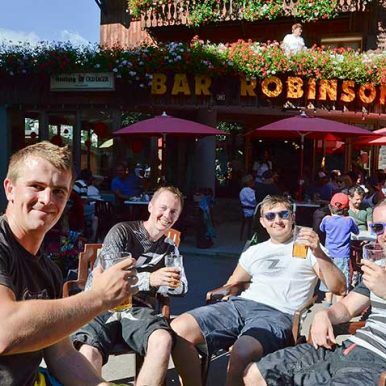 Things changed drastically when the bar moved upstairs to its current location, ushering in a new era and paving the way to become the most famous bar in Morzine. 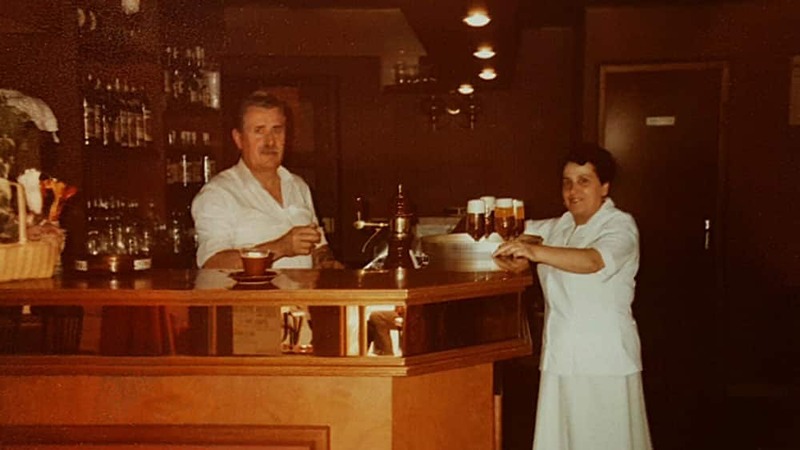 In the previous bar Kronenbourg was served in bottles. The decision was made to begin serving lager on tap and a little known lager from the Alsace was chosen. The lager was Mützig, and the rest is history! 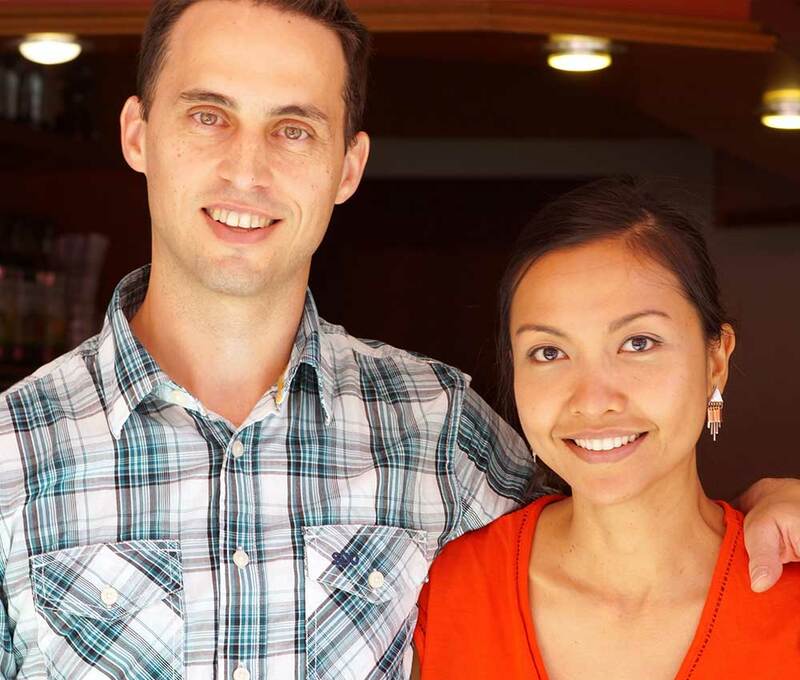 Since June 2016, Julien the grand-son together with his wife Dita are running Bar Robinson. They are keeping the original look and feel of the place while softly improving the comfort of their guests. 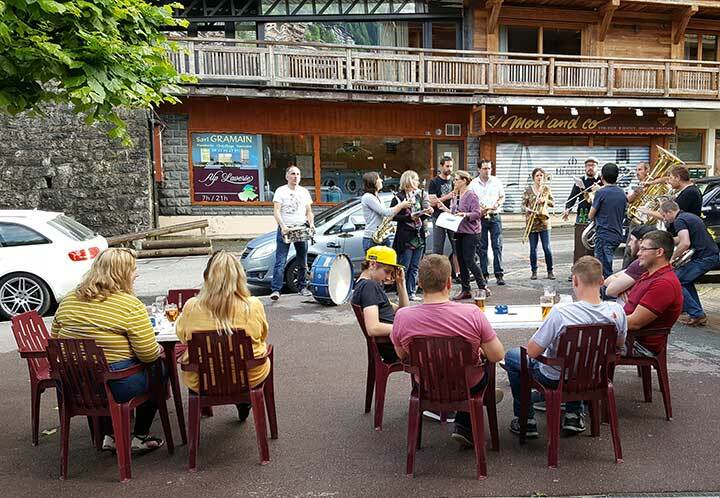 The end of the season is coming, so we thought about throwing a laid back event. 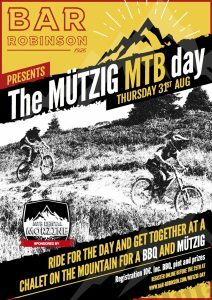 Participants will ride for the day and get together at a chalet on the mountain for a BBQ and Mützig. The registration fee is €10. You will need a bike and a lift pass valid on the Pleney. 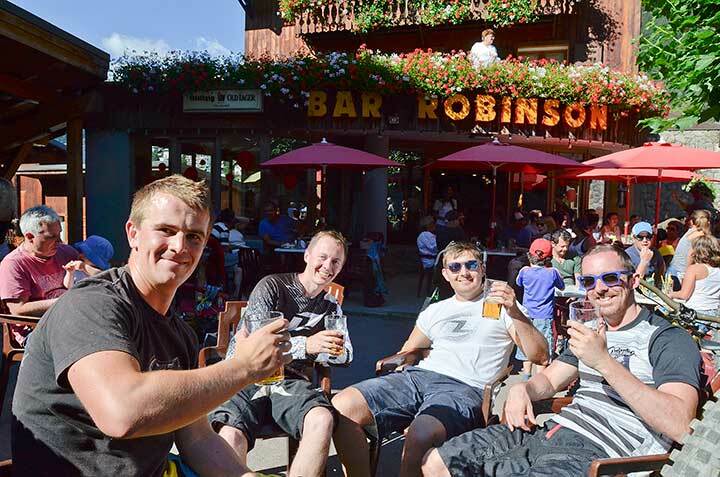 It is also possible to cycle up to the chalet if you prefer. 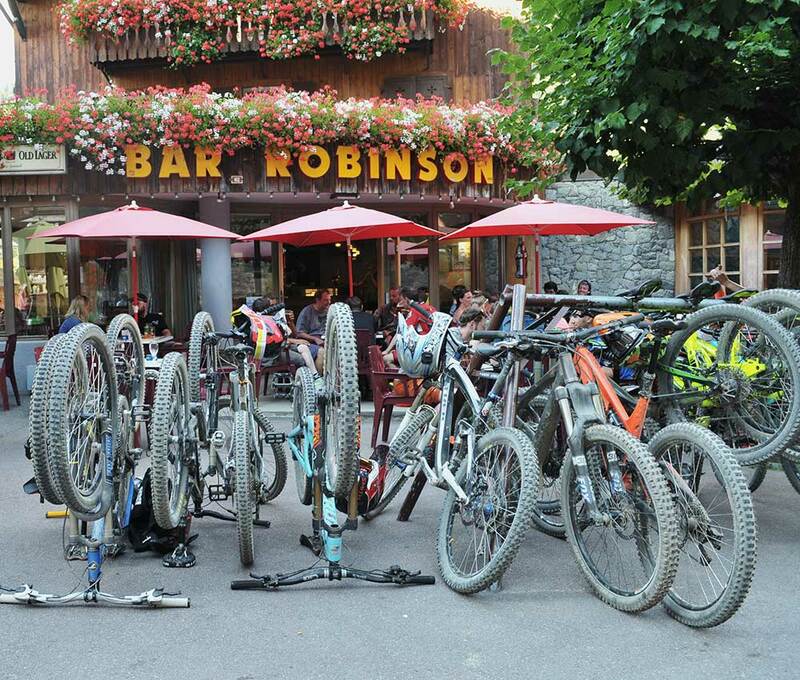 Should you need to rent a bike, you will get 10% off when renting from our sponsor MTB Rental Morzine. The bar will open late on that day. © Bar Robinson, all rights reserved.